Unrelated to this drop, but BBC Scotland will be airing a documentary on Bruichladdich tonight, January 15, 2007, 10pm. Info shared by the Man in the Grotto. This expression is not a part of "The New Beginning" revamped line from the Dalmore (12yo tasted yesterday, the rest soon), but was released back in 2005 as a special cask finish for duty free outlets. 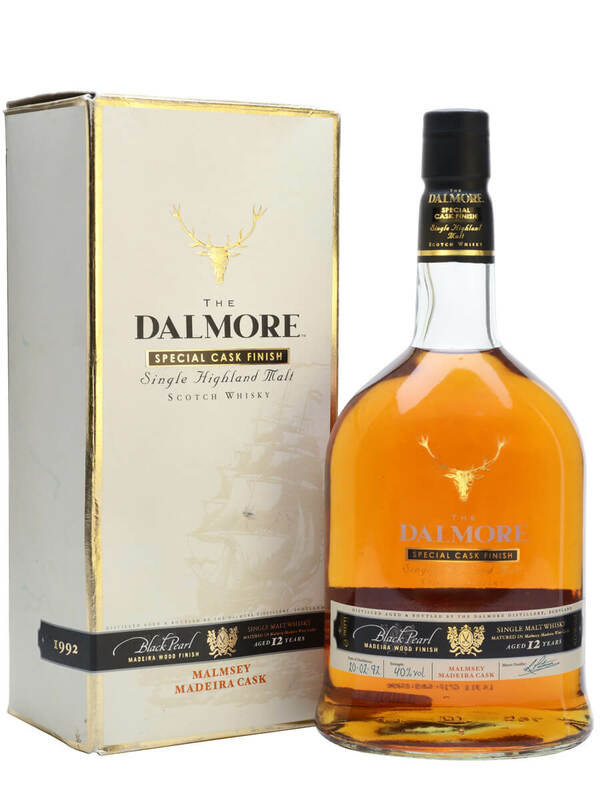 For all Dalmores had on the Malt Mission and more Dalmore distillery info, click HERE. * - This is a Duty Free price as this is a duty-free exclusive. If you happen to find it at other retail outlets (and if you search, you might) it will tend to be about £6 more expensive. Warm wood, like sanded oak or steamy cedar in a sauna. Pineapple cake, orange syrup or liqueur, zesty and fresh on top, bike tires in the middle, and oaky at the core. Balanced and well rounded with polished oak and tobacco. Some fibrous fish food as well. Becomes fleshy, slight organic bitterness balanced by brown sugar and mandarins. A deep dram that is better enjoyed in big hedonistic mouthfulls than in short scientific evaluative sips. Overall it is a chewy but zesty, rich and balanced dram, but when you start to pick it apart it begins to look a bit 'off' on paper. Deep, delicious, and to be gulped after a meal. Get involved in the Drammies... again!